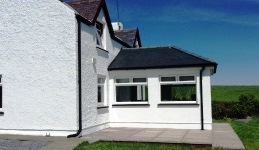 Drummore is a relatively unknown and unspoiled holiday destination. Castlemoor Holiday Cottage is surrounded by a stunning backdrop of spectacular Scottish scenery, The Mull of Galloway seascapes are as dramatic as they are beautiful. Surrounded by stunning scenery, historical sites, nature reserve, visitor attractions and beautiful gardens warmed by the Gulf Stream. 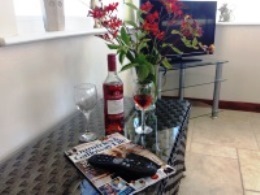 Short breaks are available by arrangement (3 nights minimum) are welcome. On-line booking is available via our availibility page, Holiday Lettings UK & Embrace Scotland listings or simply contact us by email or telephone and we will be pleased to provide a quote for your holiday. 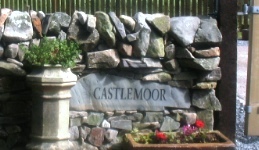 Castlemoor Self Catering Holiday Cottage Dumfries and Galloway and the surrounding area has much to offer all year round, with something for the whole family. It is a step back in time where you can unwind and enjoy life at a leisurely pace, enjoying a magical vista of botanical gardens, sea, beaches and countryside with unspoilt natural beauty and the nearby breathtaking rugged Coast.